Veterans constitute about 11% of the adult homeless population in the U.S., and are particularly vulnerable due to mental health issues that can follow traumatic combat experiences. 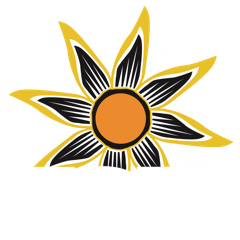 In this episode of KSJD's monthly Veteran's Affairs program, Tom Yoder talks with Rachel Bauske-Frasure, the Southwest Colorado Division Director at Volunteers of America in Durango, about why vets are at risk of becoming homeless, and what her organization is doing to help vets find homes and steady employment. To access the veteran's crisis line, call 1-800-273-8255 and press option #1, or text 838-255 and a VA representative will respond back via text or by a phone call, whatever is preferred. For this month's episode of Veteran's Affairs, a look at initiatives to build a support network for families of those in the military. KSJD's Daniel Rayzel and veteran Bert Valencia joined Sandi Valencia, president of the local Blue Star Mothers chapter, to talk about the importance of connecting in a community. Jim Mischke pursued one avenue to process his time serving in the Vietnam War: writing about it. In this episode of KSJD's monthly Veteran's Affairs program, Tom Yoder talks with Ben Mestas from the Colorado Division of Veteran Affairs about how they help veterans connect to their benefits, the role of county veteran service officers across the state, and a new office they will be opening in western Colorado.